India is an expansive, diverse country where its heart beats in the cultural tones of ancient rituals to modern buildings into the deepest forests of the safari and onwards to celebrations and festivals — all wrapped within one country. 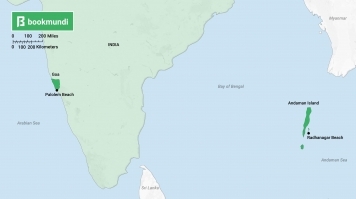 India is a country of vast ground, covering over 3.387 sq. km, which creates the opportunity for many things to do. Here is our guide of the best things to do in India. India is home to a diverse selection of wildlife, but the hidden gem are the cats that roam the country. India is home to five of the biggest wild cats in the world, with one being the Bengal tigers. This wild cat has gathered travelers from all around the world to catch a glimpse of their roaming ground. Ranthambore National Park is one of India’s largest national parks. 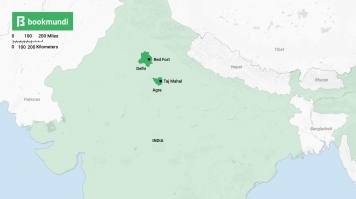 Located in the heart of India’s Rajasthan state, the park first introduced a charter to protect the tigers in 1973 and now, at 1,334 square kilometers, the park is one of the biggest tiger reserves in India. Kanha National Park is the park that inspired the setting of “The Jungle Book”. Kanha National Park has large open meadows that make spotting wildlife, including tigers, exceptionally high. 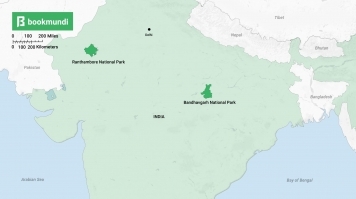 At 940 square kilometers, the park is one of the largest in Madhya Pradesh, where you’ll not only find tigers but endangered species like the Barasingha deer. Best season: March to June is the best season to go if you don’t mind the heat. The hot weather coerces animals to come to the watering holes, thus increasing your chances of spotting them. India is a country known for its temples, as one can be found almost every 3 kilometers within the city. Temples are seen as holy homes for the gods, where people go to pay their respects and obeisance to their deity every day. 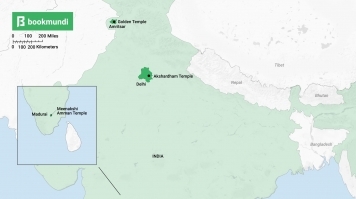 Many of these temples hold a long history of cultural significance and boasts stunning architecture that makes it a prominent part of India’s heritage. Resting at the center in the ancient city of Madurai in Tamil Nadu is the Meenakshi Amman Temple. It is known as an architectural marvel and one of the most famous temples in Southern India. 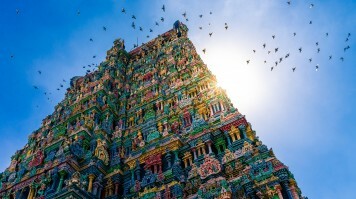 The Meenakshi Temple takes pride in its 14 gopurams, thousand pillars, a golden vimana, and over 33,000 sculptures that hold a special place in the hearts of people in the region. 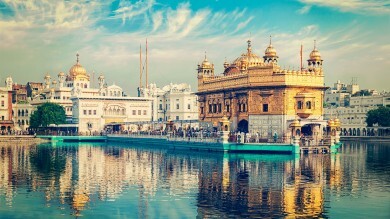 Situated in the city of Amritsar in the state of Punjab, the Golden Temple rests in the middle of a lake and has become a site of meditation and peace. It is the central religious place of the Sikhs and representation of brotherhood and equality. The temple represents identity, glory, and heritage of the Sikhs that moves beyond castes and creeds. Located in Delhi, Akshardham temple was built to honor the deity Bhagwan Swaminarayan. The Hindu temple complex was built over a five years period by 11,000 artisans and exhibits intricate details, an expansive garden, and a water fountain. Renowned for its showcase of Indian art, heritage, rituals and the spiritual values of Swaminarayan, it is one of the most iconic places in Delhi and stands for India’s unity and solidarity as well as religious splendor and historic values. Best season: The temples are open daily. Enter during the early hours at 4:00 or late at night, when the weather is milder and fewer people come to gather at the temple grounds. Festivals in India showcase the heart of their culture, religion, and spirit. India holds several festivals all year-round in much diversity and gathering of people. Many of the festivals celebrate the gods and goddesses, saints and prophets as well as the welcoming of new seasons. Diving into one of these festivals is where you’ll see the true vitality of India’s heart and soul. Holi is one of the liveliest festivals in all of India. 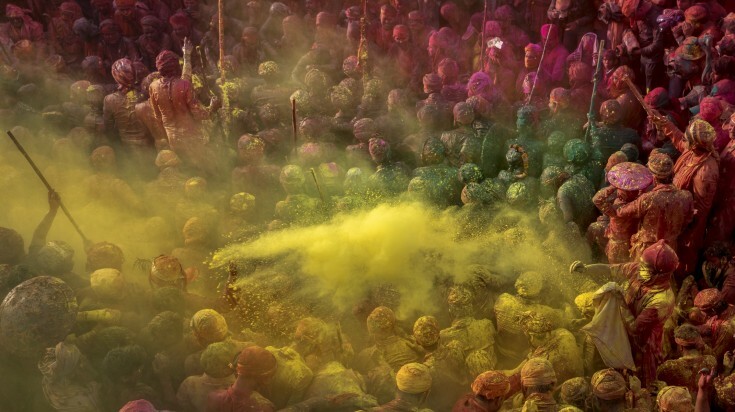 Marking the end of winter and the return of spring, Holi is a festival of colors, literally! People come out to the streets to color each other in vibrant colored powders and wish each other the best for the new season. Holi also has a religious importance and in that light is a celebration of good over evil. Diwali is the festival of lights. Again, literally! The famous five-day festival honors the victory of good over evil, in reference to a Hindu legend, and people celebrate it by decorating their homes with oil lamps, fairy lights, flowers, and colorful rangolis. The dates of celebration aren’t exact as it is dependent on the lunar calendar, but generally takes place sometime in October and November. Best location: While both holidays are celebrated almost throughout the country, Holi is best celebrated in Varanasi, and Diwali is best witnessed in the Pink City of Jaipur, where each year a competition is held for the best lit market during their Diwali celebrations. Often overshadowed by its neighbor when it comes to trekking, India is nevertheless a great destination offering fantastic trekking opportunities in the Himalayas. 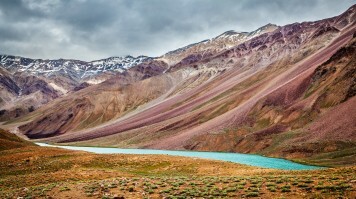 From easy day hikes through the valleys, to demanding multiday treks featuring high passes, rugged trails, and scenic views, trekking in the Indian Himalayas is a treat for mind, body, and soul. Residing in the state of Himachal Pradesh, Hampta Pass trek is considered one of the easiest and most popular treks in the region. With beautiful snow-clad mountains, unpolluted scenery and breathtaking views — the trek is perfect for those who want the views but also a light expedition. The trek is a variation of trails, scenic landscapes, open pastures, glacial valleys and crossings that present a perfect Himalayan excursion. 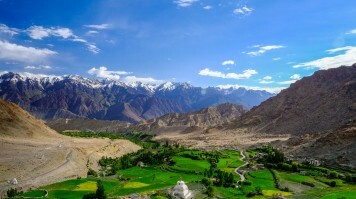 Known as the “tea house trek,” Markha Valley trek is a trek on a desert valley with Ladakh and Zanskar ranges as the background. You’ll go into the beautiful Hemis National Park and pass through rivers, Buddhist villages and rocky canyons that’ll leave you in awe of the region. Best season: May to September is a good time to attempt these treks as the weather is dry and the temperatures aren’t too low. Surrounded by water on three sides, India is a country gifted by countless beaches. 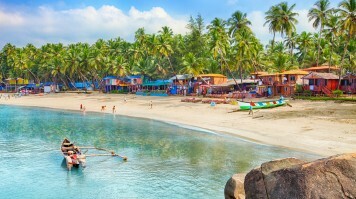 India’s tropical climate make beaches a popular resort, with many of the best beaches found on India’s west side as well as hidden gems on the east. Nestled in South Goa is Palolem beach, also known as Paradise Beach, a mile-long stretch of sand that offers seclusion and a true taste of paradise in India. The crescent-shaped bay offers magnificent views, often featuring local fishermen enjoying the early morning catch and several dolphins making unexpected appearances. Touted as one of the most beautiful beaches in Asia, Radhanagar beach encapsulates India’s most picturesque coastline with the turquoise blue sea and white sand that makes it the perfect spot to bask and find solace after a long day. 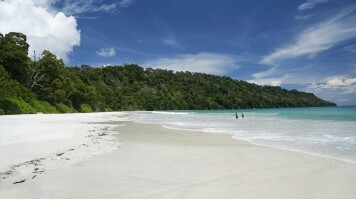 Located on Andaman Island, Radhanagar offers some of the best views of the sunset with unspoiled sand and lush green vegetation that caress the shoreline. Off the Malabar Coast of India, Kerala is a region renowned for its waterways, coconut groves, paddy fields and pristine blue waters that stretch down the coast. 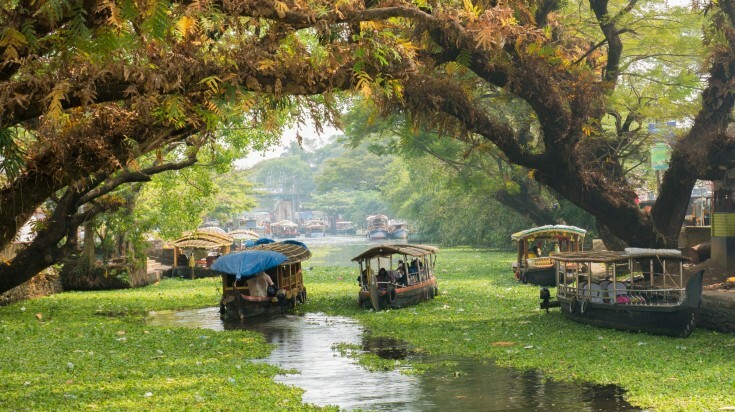 With 900 kilometers of backwaters, Kerala gives travelers a peek into men carrying people in canoes, floating grocery stores, interconnected canals and a unique look into a slower way of life in India. Known as the “Venice of India,” the Alleppey backwaters are deep in tradition and offers a rare sight of village life in India. With rivers, palm groves, floating houseboats, and families scurrying down the coastline, Alleppey is one of the few places where agriculture and vegetation are dense and below sea level. 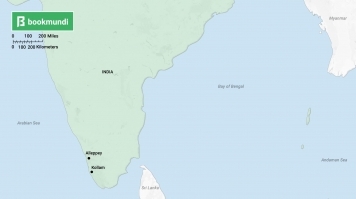 On the southern end of Kerala is Kollam, one of the oldest ports within the Arabian Sea. The door to the backwaters of Kerala, Kollam houses mountains, rivers, forests, plains and lush green fields with the waters of the Ashtamundi Lake at your disposal. Best season: October to April is the considered the best time to visit as it features mild temperatures and the best vegetation. Meditation and the practice of finding inner peace has been deeply entrenched in India culture since 6th century BCE. 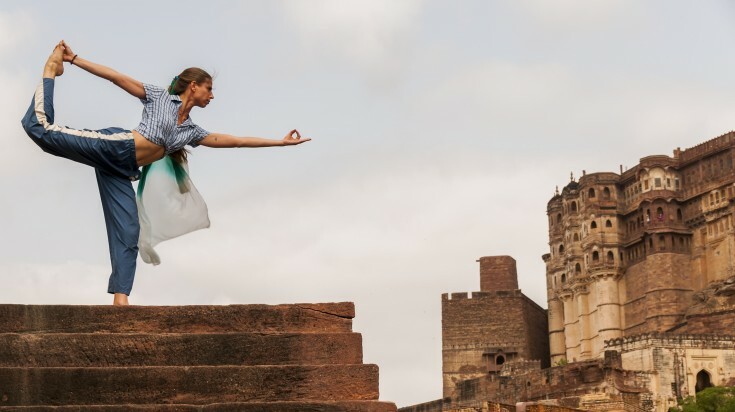 The country’s long history of meditation and yoga as gateways to find peace has created spaces and communities all across the country for avid seekers to retreat and practice finding their inner self. One of the world’s oldest continually inhabited cities and seen as a core destination for Hinduism, Varanasi is the cultural capital of India. Situated on the banks of the River Ganges, it is a place of rituals and ghats, yoga and mysticism, spiritualism and philosophy. Also known as the home of Lord Shiva, it is an apt location to delve into your mind, body, and soul. Sitting at the foot of the Himalayas, Rishikesh is the gateway to the Ganges and many shrines and yoga ashrams have called home. The city is a major pilgrimage spot for the Hindus where the forested hills and quaint plains have been seen as a place for meditation and rest. Known as the “Yoga Capital of the World,” Rishikesh offers all kind of yoga and meditation classes to its visitors. Best season: Varanasi is best visited during the winter months of November to March. Rishikesh is a more suitable destination during March and April, and September and October. 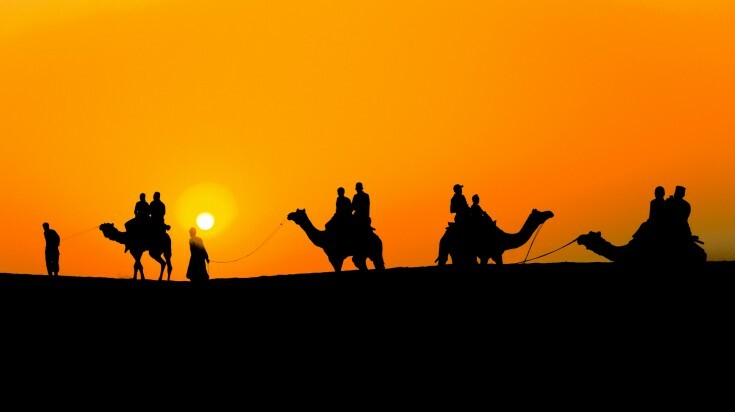 One of the best experiences in India is to take a camel safari through the rippling deserts of Rajasthan, and to end the day camping under the stars. Not only is the camel safari a treat on its own, but it is also an intimate way to witness the rural life in the deserts of India. Hence, despite the not-so-comfortable rides, a camel safari in the Indian deserts come highly recommended. Located in heart of the Thar desert just 130 kilometers from the Pakistan border, Jaisalmer is like a massive sandcastle, with sandy plains caressing much of the foreground and the perfect place to ride camels into the desert night. Known as the “Golden City,” many forts line the desert citadel with narrow streets and havelis make up the old city core. On the edge of India’s west is a white desert, called Rann of Kutch — home to India’s largest salt plain. The desert is divided into two distinct areas: The Great Rann and The Little Rann. The former is home to spectacular lunar-like landscapes and offers the best view of the sunset, while the latter is a hub for wildlife and salt farming. If you’re lucky, you’ll spot desert cats, wolves, donkeys and even some endangered Asiatic wild onagers that have found refuge within the sands of the desert. Best season: The dry and cooler months from September to March is the best time to visit the deserts. India is one of the oldest civilizations in the world. It has seen the rise and fall of many kings, dynasties, and empires that have left great legacies behind. Hence, it is a country abundant in history and cultural significance that illustrate not only long-held traditions but the illustrious past of the country’s glorious history. Claimed as a UNESCO Heritage Site, the Taj Mahal is one of the most culturally significant monuments of India. Encompassed with white marble, the Taj Mahal was built in Agra by the Mughal emperor Shah Jahan in the memory of his wife. The mausoleum is seen as the jewel of Muslim art and an architectural achievement of India’s heritage. Named after its massive enclosing walls of red sandstone, the Red Fort was built by the first Mughal Emperor as a blend of Islamic, Persian, Timurid and Hind architecture. Located in Delhi, the Red Fort took nearly a decade to complete and became the seat of the Mughal empire for 2000 years before it fell into British hands. Best time: It is recommended to visit most historic sites early in the morning, at about 6:00. It is a great strategy to avoid the crowds and the afternoon heat! 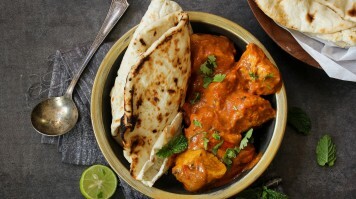 No one can say no to naan and butter chicken! India is well-known as the land of spices. It can be found in their cuisine that is widely appreciated for its fabulous use of herbs and spices. 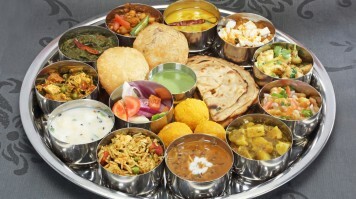 Indian cuisine is known for its large assortment of dishes and unique tastes from region to region. Staples include wheat, rice, pulses, and a wide range of vegetables. generation restaurant, with branches around the city. Located in Amritsar, Bharawan Da Dhaba has been serving Punjabi treats since 1912. Famous for its platter of dal (lentil soup), chana (chickpea curry), and paneer (cottage cheese dish), served with naan roti (flat bread) or rice, the restaurant has been serving their delectable treats for four generations now. The no frill restaurant has gathered pilgrims and tourists from all over the world. Best time: Whenever you are hungry! India is a shopping-spree dream come true. While there are plenty of malls and branded stores all over India, the best shopping experience is to be had in street shops under the sky. Experience the old charm of Indian markets, while shopping for beautiful and inexpensive handicrafts that flourish the country. Each Indian region specializes in a particular craft and industry, with many that have existed over generations. Regardless of your budget, you will find something invaluable to take back home. Mysore is one of the traditional cities where you can shop straight from the source, where most products are handmade and sold directly at the store. From intricate paintings to vibrant silk saris and a variety of sandalwood handicrafts, Mysore is a treat for every artisan lover and the perfect place to shop to your heart's content. Hyderabad is a shopper’s hub open to all kinds of budget. Known for its high street fashion to designer wear and popular budget stores, the city is filled with places and things to see. Hyderabad is known for its pearls, handicraft apparel, leather goods, and traditional Indian jewelry. Dip into the ultimate shopping experience in this city and don’t stop until you’re done. Best time: When the shops call! 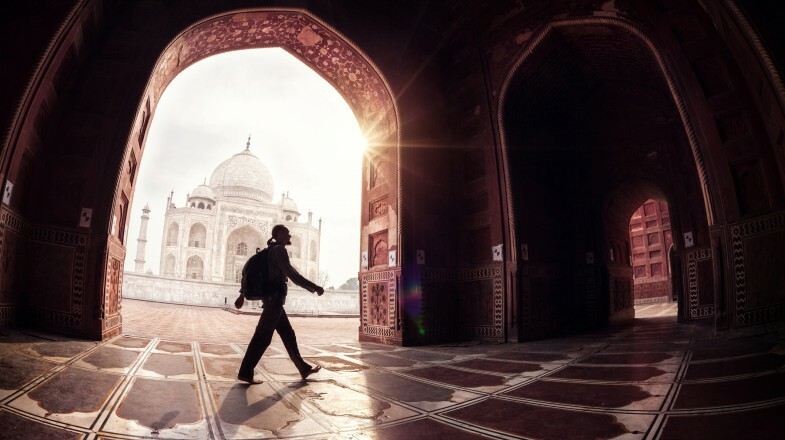 From exploring historical sites to strutting onto a camel into the wild to seeing some of nature’s best landscapes, India is a gem for travelers of all walks in life. 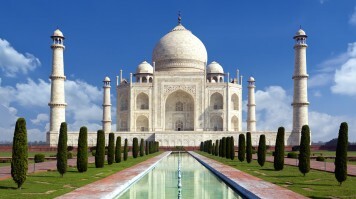 There are so many things to do in India and places to visit. You will be rotten with choices!